Hope you all are rocking your fashion statements and nailing it everywhere with your looks, oh and it reminds me that we need a lot of things to complete our look, a dress, shoes, handbag and makeup are not sufficient, we need accessories too and these accessories occupy a lot of space in our wardrobes because we keep on buying them, so how about we give you an accessory which can be used in a lot of ways, single accessory and many uses and it will add all the extra glam you need to shine. Today, we are talking about “Scarf“, a scarf is a much-needed accessory for a fashionista, they come in different sizes, prints and fabrics and the best part is they don’t hit your budget harshly, you can have many of them, they won’t even take much space, so let’s just explore different ways of using a scarf. 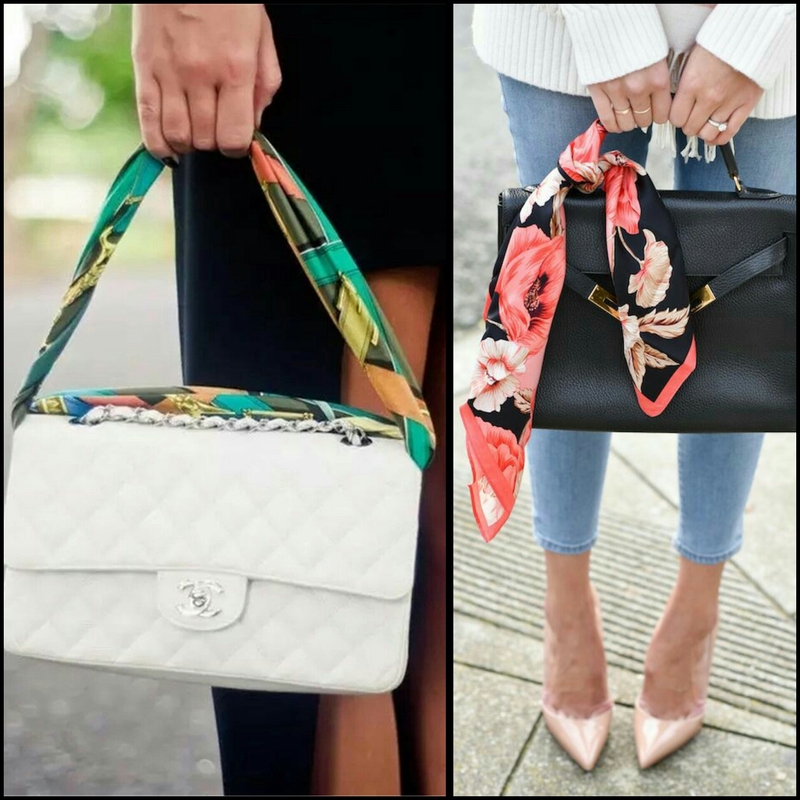 ● As Scarf– Obviously the first way of using a scarf is simply as a scarf, they adore your beautiful neck, make your outfit more dynamic and they can be tied in a whole lot of different styles. Do let us know if you want a detailed post on styling a scarf. ● As Headband– A scarf can be used as a headband, just make folds of same size with it until you get the desired size and wrap it on your head and tie a knot at the end, trust us it looks so chic. ● As Belt– Don’t have a belt matching to your outfit? No worries, just dig in your wardrobe and take out a matching or contrasting scarf and use it as a belt in your dress and trousers. 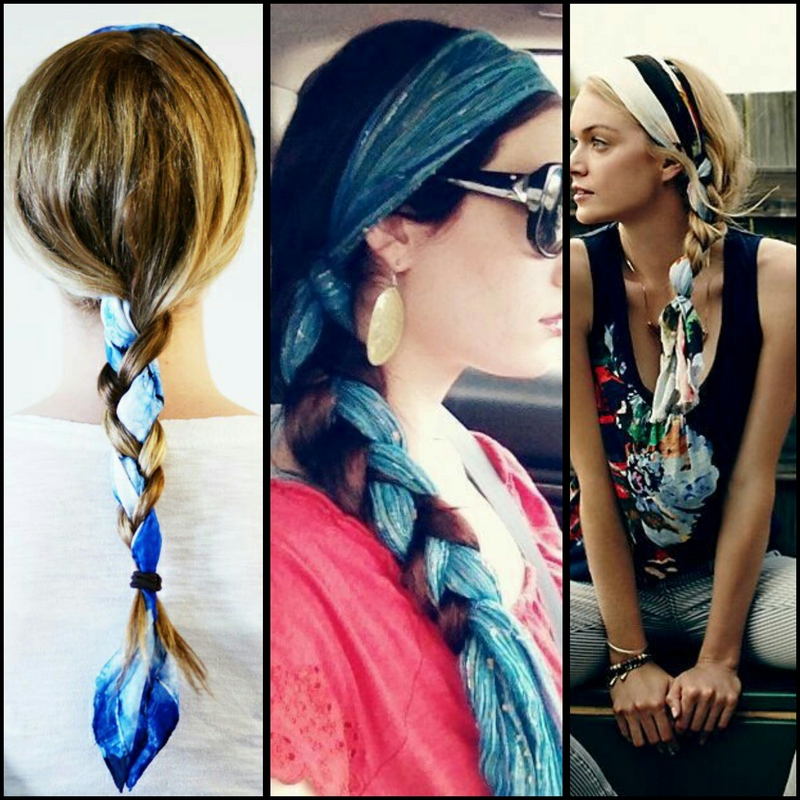 ● As Hair tie– You can make many trendy and stylish hairstyles using a scarf, tie it your bun making bow or braid it. 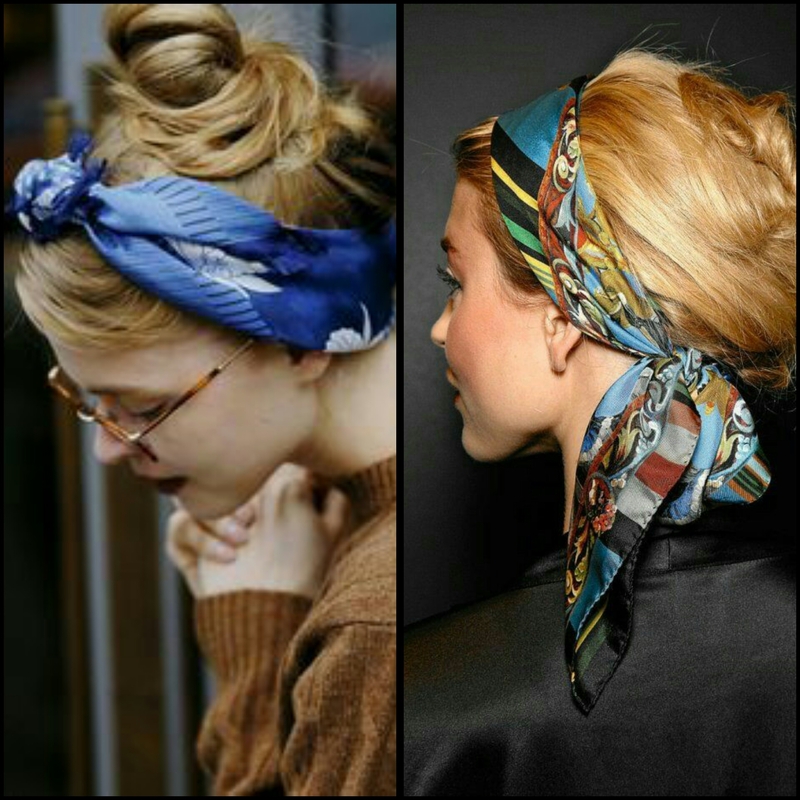 Let us know if you want a detailed post on making hairstyles using a scarf. ● As Sarong– Oops, Did you forget keeping your sarong while going on a beach? Search in your bag, there must be a scarf, a big size scarf will help you as you can wear it as a sarong. 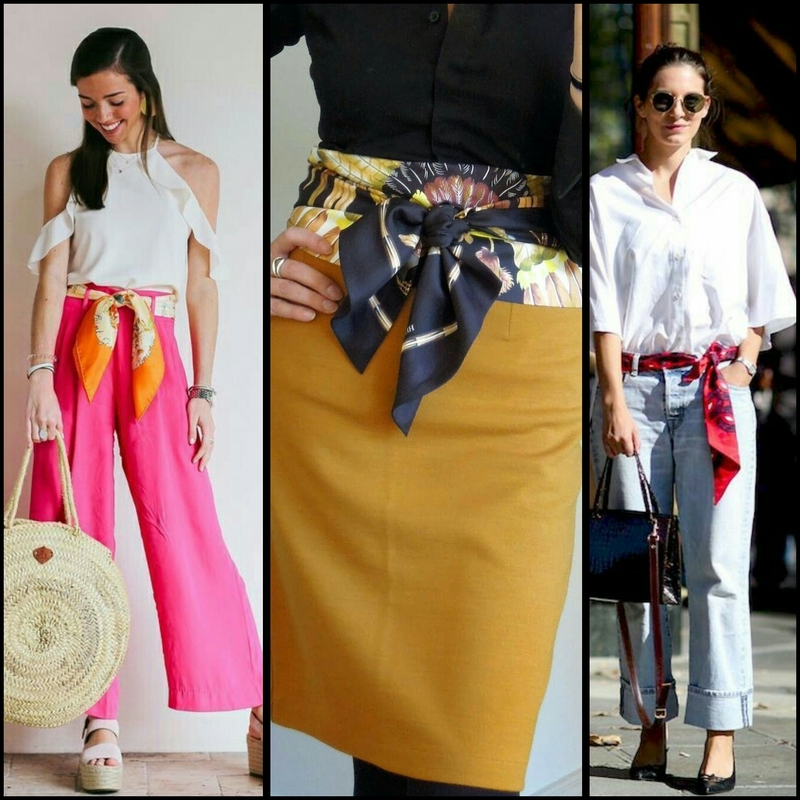 ● As Bag tie– You can add vogue in your handbag just by simply tying a small scarf on its strap or handle. Sometimes there is a bag which you love but stopped using it because it’s strap got torn down, just wrap a scarf over that strap and voila! ● As flip flops– We don’t give up on a pair of footwear which is comfortable but wearing the same footwear again and again becomes boring at times, so take a big scarf cut it into two similar size pieces and wrap them in your flip-flops and your diy gladiators are ready. We can give you an added bonus of a diy necklace using a scarf but only if you all ask for it. We hope these tips become helpful for you, so go on try new things with your scarves and let us know how these experiments went for you and one more advice before we end this blog, always keep a scarf in your bag whenever you go out, don’t know when will you need one and also don’t forget to….Be Fashionable…!! !